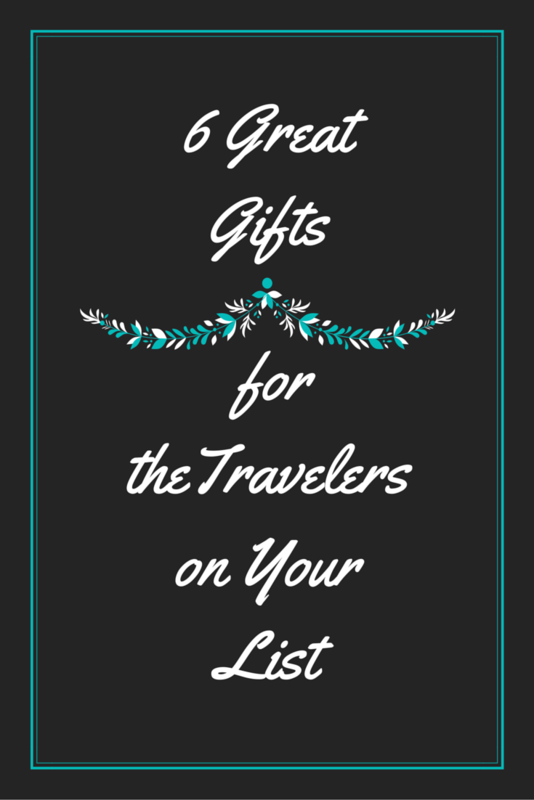 6 Gifts for Travelers and a Giveaway! Do you have a traveler on your gift list this year? If you do, I have rounded up some of the great things I have found to give them this year. In addition, I also have a giveaway for you today, so make sure to read all the way through to read the details to enter the giveaway! I have one of these, and I love it. The one I have though is out of stock. This is the same brand. Most of the electronics I bring on trips are dual voltage, and I don’t need a converter. This allows your traveler to carry only on adaptor for all their USB adaptors. 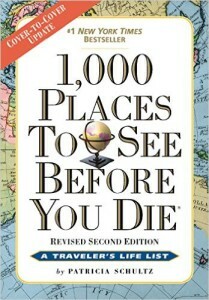 This is a must have for any traveler or travel dreamer in your life! It is the ultimate bucket list of places to go. What is really great, is that it gives you many places to see in each country and city. This means you also get a mini travel guide. No traveler can be too careful about carrying their valuables around while traveling. This infinity scarf has a hidden zippered compartment to make that possible. This scarf was designed by a fellow travel blogger, so you know it is well designed for its purpose. It is available in many fabrics of different weights and styles. There is even a neutral color if your male traveler would be interested. Any traveler who has to sit in economy class for more than a few hours will appreciate this self-inflating seat cushion. In fact, I just ordered myself one for my flight home for Christmas. Travel Humidifier Great for any traveler with allergy issues or if they are traveling to a dry climate. I have really bad allergies and asthma and when I travel to dry places or hotels with forced heat, this has saved me from getting sick. You attach it to a bottle of water and plug it into your USB adaptor (see the first gift) and it will put out a fine mist for about 8 hours. I put it right beside the bed. It works best with an Evian bottle and I just refill the bottle out of the tap. It does have a small blue glow, which makes a nice night light. 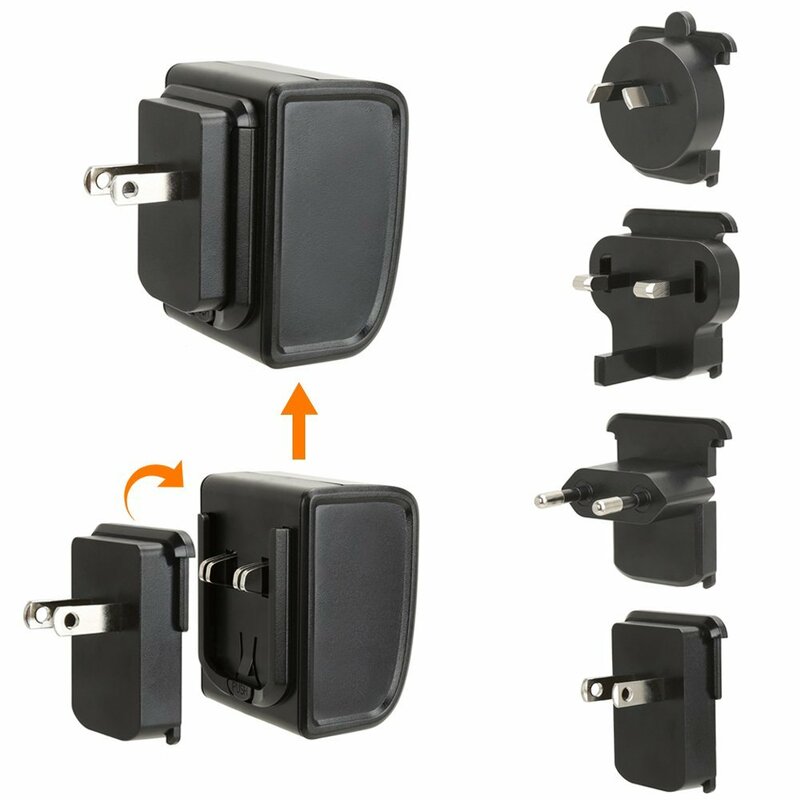 If your traveler takes lots of photos for Instagram or uses Google Maps to navigate while traveling, then they need this rechargeable power bank. I have one similar to this and I love that if fits in my pocket and does not weigh much. Great for at the end of the day when you are headed back to your hotel and you have 5% battery left on your phone and your are lost! 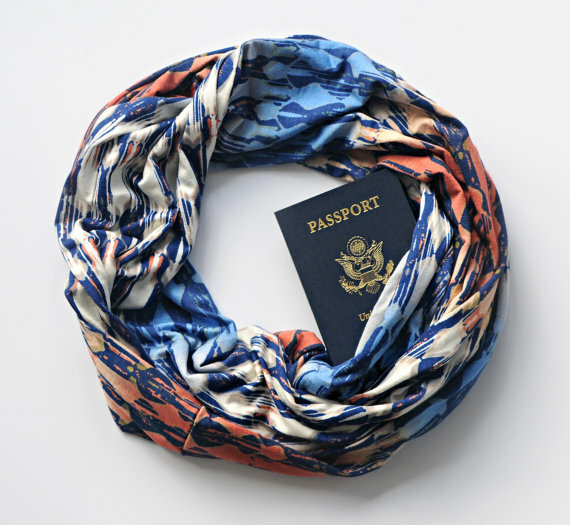 Do you have any great gift ideas for travelers? Share with us in the comments! If you are anything like me, then you enjoy getting a little lost while in a new city. I love just walking to see what I can find. However, there have been a few times, I have seen things that I wasn’t sure what they were. I wish I had known about GPSmyCity when this had happened. I could have been taking a guided walk without the need for a guide or a large tour group. The GPSmyCity app allows you to take guided city walks via your phone! Some of them are narrated and some are not. Best of all they are downloadable, so you don’t need to use your data to use them. I was looking through them and I would love to take the Paris Literary Walk. 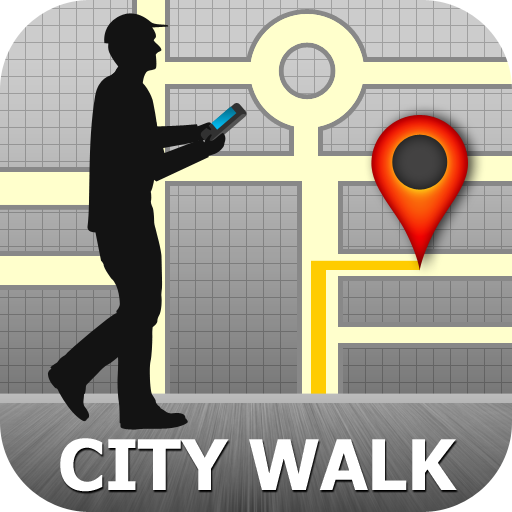 GPSmyCity is giving me 20 promo codes for you to download the city walk of your choice! Please note the app is only available on iOS and the codes expire 28 days after they are issued. The GPSmyCity app is free to download. There are hundreds of cities to choose from! Enter below. The contest will remain open until December 20, 2015. There are some links in this post that are affiliate links. This means that if you click them and make a purchase, I get a small commission. This is at no additional cost to you. It helps me keep this blog going. Thanks for your support! I used CityWalk once in New York and loved it. Hope to be able to use it again! Should be travaling in Virginia next summer. Lyne recently posted…Une recette de tarte au chocolat! Glad to hear you like it. Thanks for entering! Good luck! Me too! I lived there for seven years and still love to go sightseeing in New York. Thanks for stopping by! I found you from Kyla’s thread. Nice to internet-meet you! I now have two of them after receiving one at a conference. Love them both! The iPhone does run out of battery fast. I haven’t tried the traveler’s scarf. I was hoping someone would see this and give it to me for Christmas. I would love to have it for carrying money. I wear scarves a lot, but not in hot weather. If I get one, I will do a follow up post. Thanks for stopping by! Nice to internet-meet you too! Thank you! Where would you go? GPSmyCity sounds like great tool! I’ll have to use that on my next trip. Thanks for sharing! Thanks for stopping by. I am loving it for independent travel. Love your ideas, especially the book! Thank you! I love that book. The scarf is amazing! So useful. Lots of great gift ideas here for travelers. I especially LOVE the scarf with a hidden zipper compartment — that is perfect for hiding stuff if you;re worried about getting robbed or pick pocketed — totally brilliant!!! I wish I had invented it! Thanks for stopping by! That book is pretty awesome looking if you ask me. 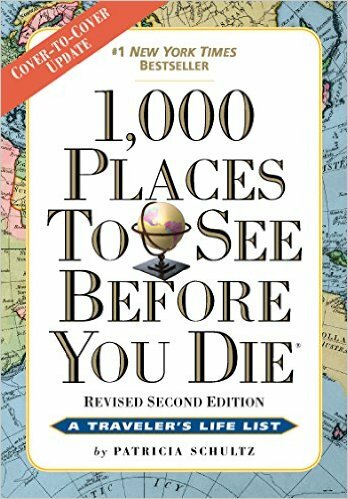 Is it possible to pull off 1,000 places that are listed in there? Even if not, it sounds like a challenge to me! Thanks for this and all the others on your list, Tiffany! Might be. I have given it as a gift, but don’t own it. If I remember right, it is divided into regions and you could make a plan based on that. Now I am curious as to how many I have done. Thanks for stopping by! I would quite like a power bank it would be so useful especially when I am running around! Great tips! That’s my dad’s favourite book. I buy him the calendar each year. That’s awesome! Thanks for stopping by. Great post and site! I found you on FB GYB page. Let me know if you’d like to collaborate, be a guest writer with links back to your blog (or vice versa), or get together to do a giveaway with some other bloggers, just support each other in some way. My site is http://www.4hourbodygirl.com. Thanks for stopping by! I am heading over to your site now and will get in touch! Wow, that scarf is genius!! This is a great list. Thanks for sharing! I know, I wish I had invented it! Thanks! Wow, these are great ideas! I am planning a destination wedding in Maui and I see some use for some of these things, especially that seat cushion! Thanks! I just got my seat cushion tonight and will trying it out in about two week! It really is something. So clever! The GPSmy city sounds like an amazing app! Loved the travel scarf as well- especially since I am literally quite obsessed with scarves and wear them throughout the year lol. I want one of the scarf so badly. Keeping my fingers crossed.